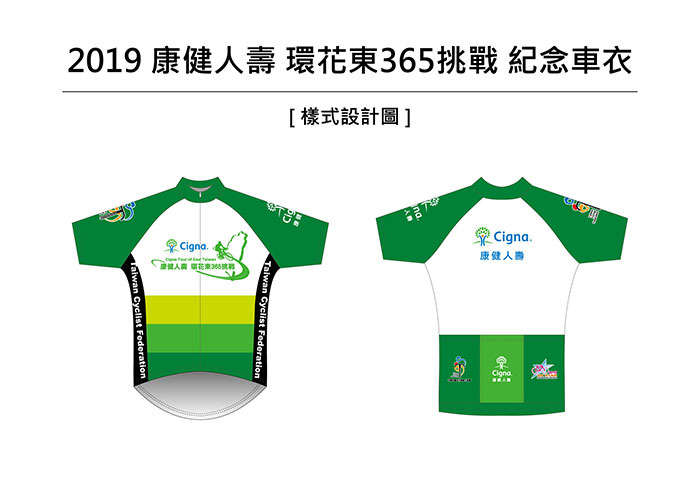 The 2019 Cigna Tour of East Taiwan Cycling Series - 365 km Challenge will be held on April 20th ~ 21st. 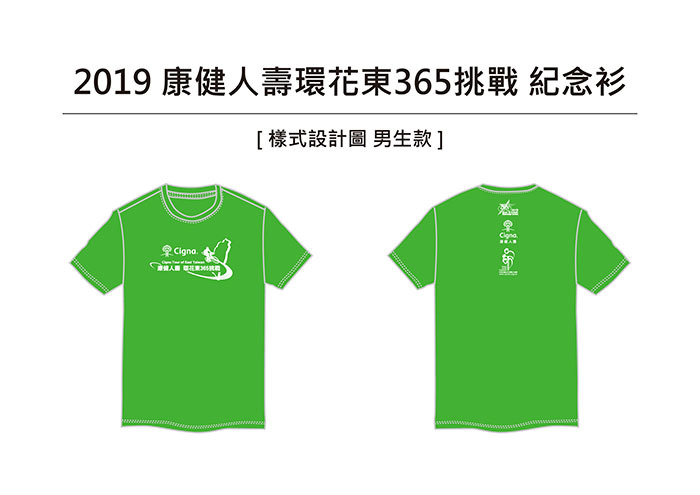 The event will be held over twio days in Eastern Taiwan. On Day 1, riders will ride along the Coastal Highway (No.11) and experience the amazing scenery of the Pacific Ocean from Hualien to Taitung. On Day 2, participants will cycle along the No.9 highway to enjoy the landscapes of the East Rift Valley from Taitung back to Hualien. East Taiwan is the last remaining cycling paradise on the island due to the fact that it is neither highly urbanized nor industrialized. Partaking in this challenge ride, you will enjoy spectacular views of the ocean, mountains and the subtropical jungle along the way, and may even spot a monkey or two. We sincerely invite you to join us! 1. 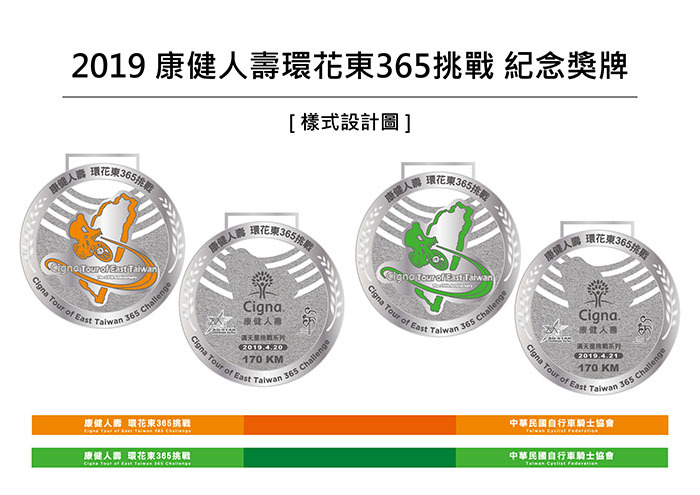 Directed by: HuaLien County Government, TaiTung County Government. 2. 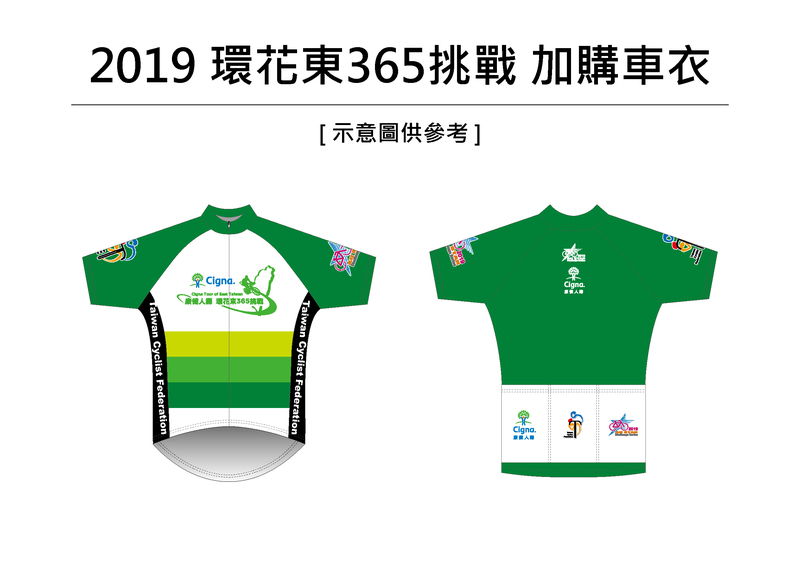 Organizer: Taiwan Cyclist Federation. Apr.19th, 14:00 – 16:00 at Astar Hotel HuaLien (No.6-1, MinChuan Rd., HuaLien City). 6. Event Briefing: Apr.19th, 16:00 at Conference Room – 1F at Astar Hotel HuaLien. (1) Apr.20th : HuaLien –TaiTung via Taiwan No.11 highway(175km).Time allowance 11 hrs. ChangBin – Tulik – Taitung City. 17:00 Finish: Formosan Naruwan Hotel & Resort Taitung. 13:00~17:30 Luggage claim – at the hotel. (2) Apr.21st : TaiTung –HuaLien via Taiwan No.9 highway(172km). Time allowance 11 hrs. 06:00 Start: Naruwan Hotel & Resort– LuYeh – FuLi – WuHo – GuangFu – FengLin – No.11C - Astar Hotel HuaLien. 13:00~ Luggage claim – Astar Hotel. 17:00 Finish: Astar Hotel HuaLien. 8. Rider Qualifications: Experienced riders able to cover long distances, over 150km a day. 9. Entry Fee: NT$2,500 per person. 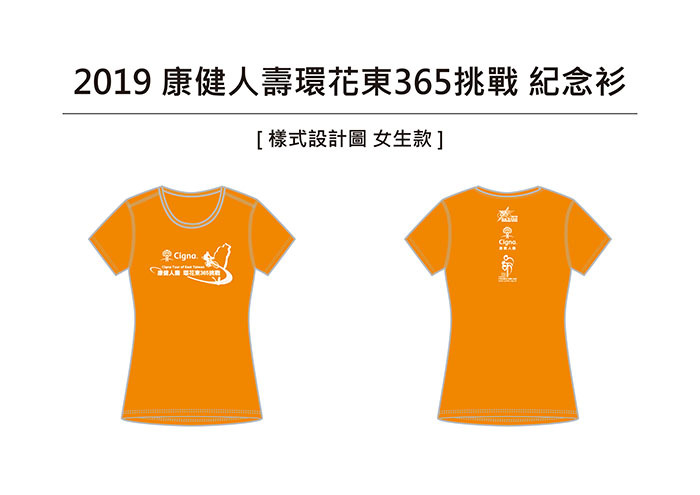 Entry Fee Covered: Event shirt, event scarf, 2 finisher medals, Online finisher certificate, lunches, timing chip and number patch, feeding stations, basic insurance, luggage transportation and recovery vehicle service. 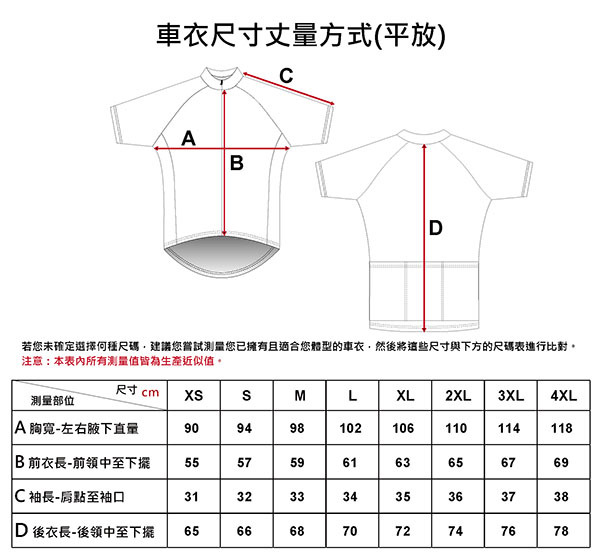 (3) Event jersey, event T-shirt. These could also be ordered on the registration webpage. (1) Online registration by visiting www.cyclist.org.tw and clicking into the event registration page. Online registration ends on Mar.12th. (2) Payment: Following the registration webpage instruction, you may proceed to the credit card payment. For any order change, please kindly email us via service@cyclist.org.tw before Mar.19th. 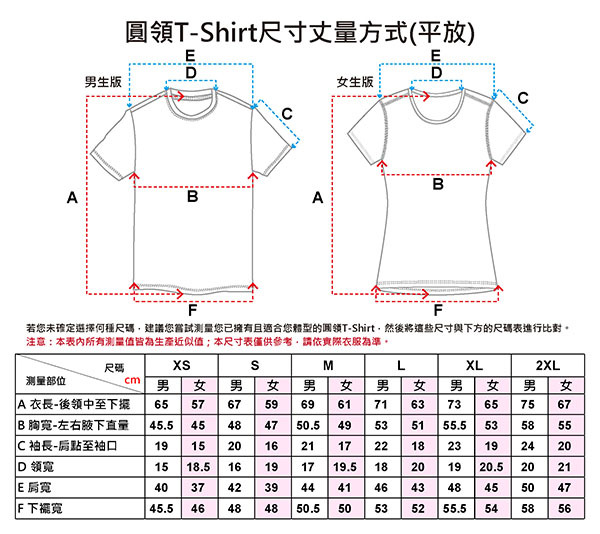 From Mar.20th on, any order change will NOT be acceptable. (1) Riders are only permitted to ride bikes with full braking system, other rim brake or disc. 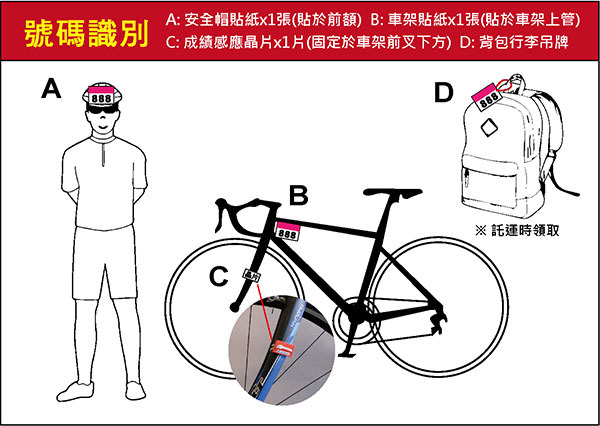 The bicycle must be mounted with front and rear lighting for illumination when going through tunnels. (2) Riders must wear cycling jerseys and helmets at all time during riding. (3) Please make sure that your bike is properly maintained prior to the event and remember to bring your personal spare parts. (5) Riders must ride on the right side of road and follow traffic rules. Riding in the wrong direction/lane (left side) is prohibited. (6) There will be feeding stations every 25~45kms along the route. Riders should slow down and ride to the side of the road to approach the feeding zone to take feeding supplies. A. Apr. 20th – Please receive your transported luggage at the Formosan Naruwan Hotel & Resort TaiTung. B. Apr. 21st – Please receive your luggage at 1F at Astar Hotel HuaLien. C. Please make sure each piece of your luggage has a clear and easy-to-read luggage tag for identifying your luggage. D. Please hand over your luggage to the Luggage Transportation truck in time before you start the riding. Do NOT put valuables or fragile items in the luggage for transportation. E. We recommend you bring just one piece of luggage for the event. Do not hand over the hard-shell bike box to the luggage truck. (8) The rider insurance of this event is Public Liability Insurance, in which any personal health problem during the event or any riding injury caused by personal health problem will not be included in this insurance. Riders are recommended to buy personal health and medical care insurance. (9) Participants will be covered with the Travel Insurance and the Public Liability Insurance. The Public Liability Insurance covers the accident only that Organizer is responsible for. Each participant should evaluate his/her own safety regarding personal health conditions when deciding whether to participate in his event. Participants should apply for extra personal insurance policy at his/her own cost when considering that the aforementioned insurance is insufficient. Please refer to the Insurance Policy Website for the coverage details of the Travel Insurance and the Public Liability Insurance. The Organizer is only responsible for the indemnity amount with the maximum payment of claims per person as the insurance policy offers. Do not register the event if you do not agree with the coverage, items, indemnity amount of insurance policy. (10) According to the Insurance Law, riders under 15 years old would not be compensated with death indemnity under Life or Injury Insurance policy. 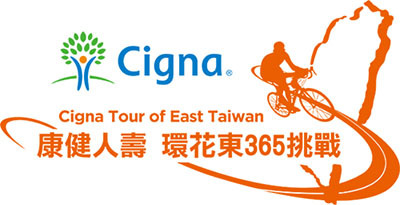 (11) For the medical insurance needs, if any hospital medical treatment is caused by an event accident, keep all receipt and diagnosis certificates (issued by a doctor) and give these later to the Taiwan Cyclist Federation for insurance payment application needs. (12) This event is a physically challenging ride. Riders who have hypertension, cardiopathy, asthma, cardiovascular diseases, diabetes, epileptoid, are not recommended to join this event. (13) The Organizer has the right to stop riders to continue riding depending on the rider's health condition at any time before or during the event. (14) Riders with time chips installed must pass the time recording zone at the Start Point and at the Finish Point for official time records. (15) Depending on the weather or any natural disaster, the Organizer has the right to stop or cancel the event, with regards to concern for rider safety. (16) Riders shall not dispose of any rubbish throughout the route and event area. (17) The Organizer has the right to use any reports/articles and images of the event for promotional purposes. (18) Please watch for any information updates with regards to this event, which will be announced on the T.C.F. website: www.cyclist.org.tw & Facebook fans page: www.facebook.com/tcf1999. Remark: the design is for reference and subject to change.